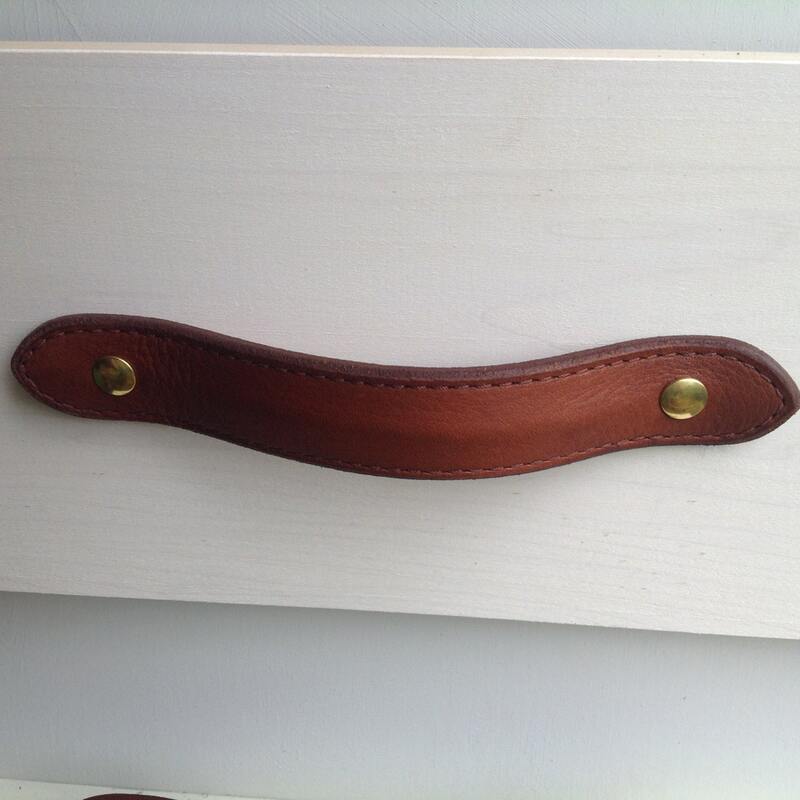 Leather drawer pull for furniture, cabinets, cases, boxes, etc. Hand crafted from salvaged leather remnants. 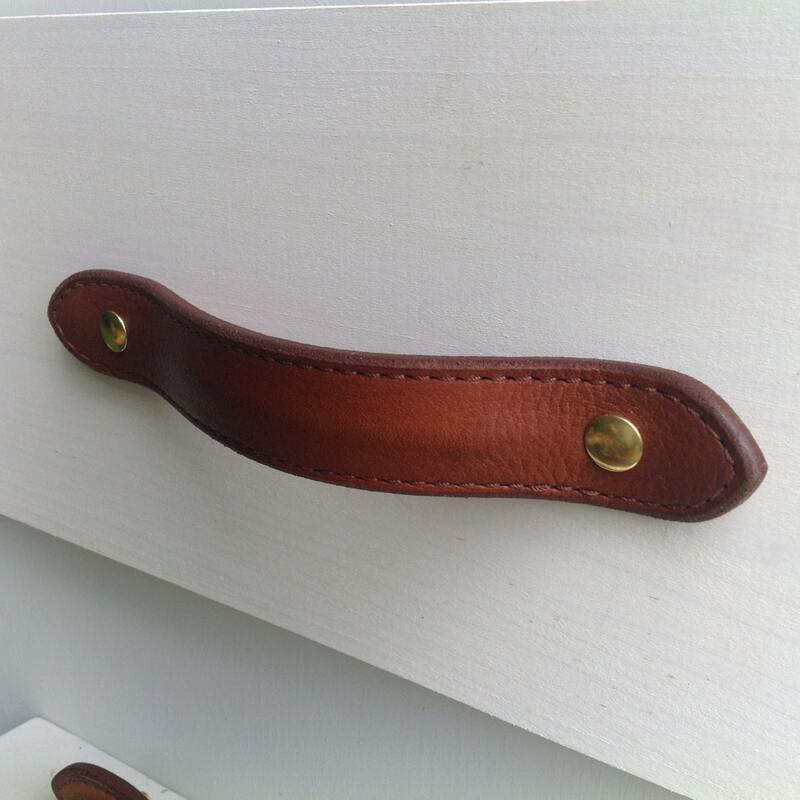 This drawer pull is made up of two pieces of leather that are glued together, using eco friendly adhesive, and then stitched with heavy nylon thread. The top leather is soft and a medium brown color with some red tones. It is attached to a hard piece of leather to give the pull a strong rigid structure. Amazing customer service. Will order again! !